Welcome, Heidi! Thank you for joining us today. Award-winning, best-selling author Heidi Ashworth lives with her husband and three children in the San Francisco Bay Area. She writes sweet, traditional, Regency-era romance, romantic comedy and mystery. 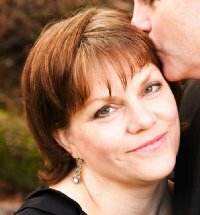 She is the author of the Miss Delacourt series, published by Montlake Romance. Book two in The Lord Trevelin Mysteries comes out summer of 2018. Romance and mystery author Heidi Ashworth visited #OurAuthorGang today. 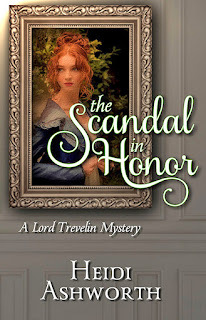 Stop by and check out her latest mystery!! Welcome to Our Author Gang! 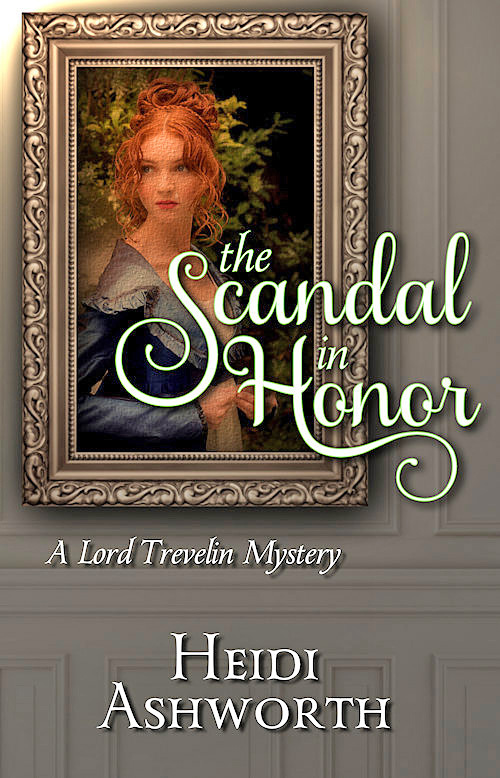 Today's Guest Author on #OurAuthorGang is Heidi Ashworth, who gives us a nice excerpt from her novel, The Scandal in Honor -- book two in her The Lord Trevelin Mysteries. Welcome to our blog, Heidi! Lovely excerpt. Thank you for sharing with us. Welcome, Heidi. It's so nice to meet you. Thanks for the spotlight, Grace! Yes, Trev IS quite the guy. I have such a crush on him. :-) He's not perfect, but he's getting there. We get to go along for the journey, which I find fascinating. I hope my readers do, too! Today, we welcome award-winning romance author Heidi Ashworth to #OurAuthorGang. Thank you Toi! Happy to be here! Hey, Heidi! So glad you could be with us today. That Lord Trevelin sounds like quite the guy! Sounds like some books I surely need to check out! Great post and I'm going to be following Heidi on Social Media. Thank you so much Lorraine! I hope you enjoy my books! +Heidi Ashworth I'm sure I will. They sound very interesting.